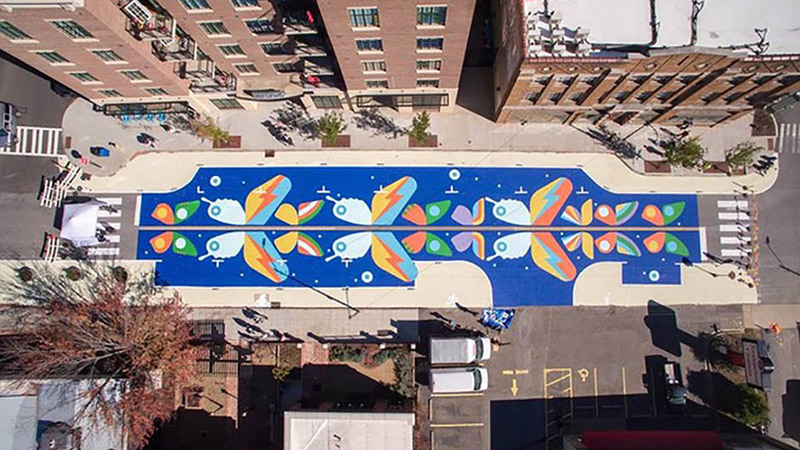 U-SoA alumnus, Tony Garcia of Street Plans, recently completed Tactical Urbanism project in Asheville, North Carolina—a street mural and sidewalk extension. Tony credits his UM architecture education with its emphasis on beautiful drawing, as the foundation for his current tactical urban design work. The project manager and designer was another alumnus, Irene Balza. Founded in Miami Beach in 2009, Street Plans is an award-winning urban planning, design, and research/advocacy firm with offices in Miami and New York City. They are known for advancing innovative practices, to test and implement projects, including open streets, public market design, and public space stewardship. Tony is co-author of the book Tactical Urbanism (Island Press).